We’ll tell you, plus share with you our favorite vanilla paste recipes! In 1967 I saw my first vanilla bean. I was already 24 years old. This shouldn’t sound remarkable but it actually is because even finding a vanilla bean in San Francisco in 1967 took some effort. I had a friend who had lived in Italy and traveled a great deal in Europe. He and I were in a coffee and spice store and he bought me a vanilla bean. I was enchanted by the aroma but completely puzzled about how to use it. He told me to put it in my container of coffee beans and the vanilla would perfume the coffee. So I did. It wasn’t until 1985 that I learned how to use vanilla beans in any other way. Once I knew how, I never stopped using them but I’ve expanded my vanilla repertoire considerably since then. There’s a reason why I share this story. Before the Food Network became so popular, most people had no clue about how to use vanilla beans. Probably had never seen them either. Once they became a regular on the Network, everyone had to use vanilla beans in their baking and dessert making. Vanilla beans get all the glory. But should they? Introducing a best kept secret in the baking world – vanilla paste. 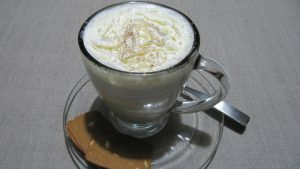 Now, lots of recipes use vanilla beans. But how many recipes use vanilla paste? Hardly any (but we have them)! 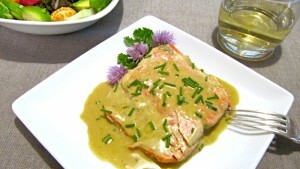 In fact, it’s still a “best kept secret” even though it’s quite popular with chefs and other food professionals. So why do I think vanilla paste should be your new best friend and in your recipes? Because vanilla paste is bright, bold and a big time saver! Hopefully I’ve caught your attention, because I suspect that once you try it you will agree. What exactly is vanilla paste? Vanilla paste came out in the 1990s, allegedly invented by some friends of mine who claim that another company stole the idea from them. I honestly don’t know whether this is true or not but I can say that the quality and usability of pastes varies from company to company. 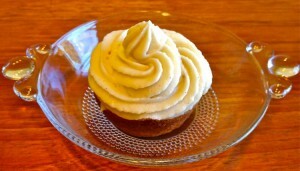 Basically, vanilla paste is a blend of concentrated vanilla extract and vanilla bean powder. It isn’t as thick as paste; it’s more the consistency of liquid glue. Most pastes contain invert sugar or corn syrup that acts as a binder. Some companies use freshly ground vanilla bean powder and some use the powder left over from the extraction process. In that case the powder is more for cosmetic purposes than for flavor. Our vanilla paste is made with a triple strength vanilla extract (making it that much more flavorful) and freshly ground vanilla bean powder. The binder is xanthum gum, a natural product. There is no sugar or corn syrup — just those three ingredients. Chefs love vanilla paste for creme brulee and other custards because they don’t need to scrape vanilla beans and it has such a rich flavor that it carries well in the dessert. 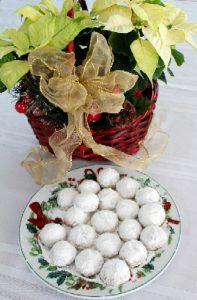 Candy makers love it because it is concentrated flavor and doesn’t add much liquid. Bakers love it for baked goods that benefit from a bold vanilla flavor. I used to layer vanilla flavors when I made my to live for Vanilla Madelaines. I used freshly ground vanilla bean powder and vanilla extract so that the extract flavor would provide the top notes and the ground beans were the bottom notes. The paste takes care of both in one. How do you use vanilla paste? In these vanilla paste recipes! Think rich stuffed French Toast with vanilla ricotta filling, pound cake slices covered with fresh strawberries and whipped cream, very vanilla sugar cookies, and even home-churned vanilla ice cream. We have vanilla paste recipes to die for! The flavor is bold and bright and all you have to do is to scoop out a teaspoon or less. No scraping beans; no mess to clean up. Because vanilla paste is liquid, you won’t want it for dry mixes of any kind; that’s where freshly ground beans rule. The combination of the ground beans/liquid extract creates a brownish color, not ideal for light-colored frostings. For savory sauces and most savory dishes, I prefer extract as it’s easier to control the “splash” you’ll want and the extract blends more easily. How and where do you buy vanilla paste? I recommend buying the vanilla paste in bulk in one-pound containers. It saves you money in the long run and it keeps extremely well in the refrigerator. In fact, it should be stored in the refrigerator after it has been opened. Because it’s concentrated you will use less paste than you would extract. You think a pound is too much? No problem. 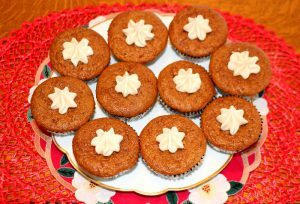 You can decant some of the paste and give it as a gift to a friend who also enjoys baking. If you try to find vanilla paste in a local store, you might have a hard time, but Trader Joe’s has been known to carry it from time to time. We recommend saving yourself some trouble by ordering online. We sell what we consider to be the best vanilla paste on the market. If it wasn’t, we wouldn’t sell it. You can buy our vanilla paste here. I learned a lot about pure vanilla and paste I love your website it gives you a lot of information on how to buy and where it comes from. So thank you. Thank you D’Ionne. I’m glad the site has been helpful. 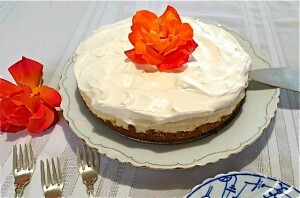 When you next visit, please check out our recipes. can i use vanilla bean paste in lieu of whole vanilla beans in pear jam? Yes, you can substitute vanilla paste for whole beans. 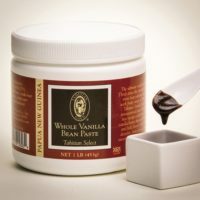 As vanilla paste is made with a concentrated extract as well as ground vanilla bean powder, it is used by chefs regularly in lieu of whole beans. It’s important to keep vanilla paste refrigerated after opening. It will last well in the refrigerator for a long time.